Unfortunately, a very large percentage of the population suffers from “gum-disease”, and many are completely unaware of this due to the fact that symptoms tend to be quite mild until it has progressed to a very destructive state where infection and tooth loss are quite possible. Symptoms vary between individuals but cases usually present with swollen, red and often bleeding gums. This can be the case in the early stages and also in the latter stages of the disease process (From Mild to Severe Periodontitis). Bad breath (Halitosis) can also develop but this is not always associated with Gum Disease. 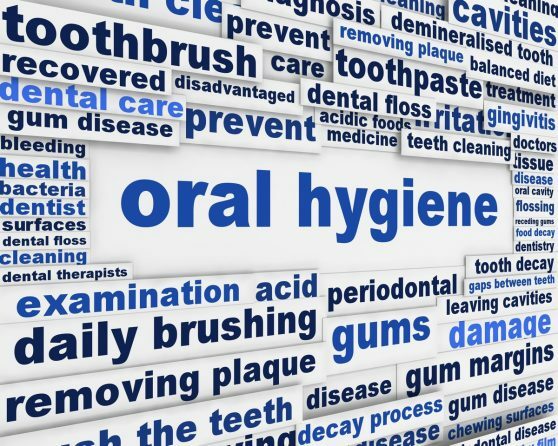 It is only through regular scheduled hygiene sessions with your Dentist/ Hygienist that this can be observed, treated and managed on an ongoing basis. In more severe cases, it may be necessary to refer you to a Periodontist (a specialist) to determine if further treatment options are appropriate. The lowly “Scale and Polish” can avoid a host of different dental issues and it has been proven more recently that your Oral Health can be a significant indicator for overall Health. These are thin resin coatings which are applied to the rough pits and grooves on the biting surface of the back teeth to help prevent the development of tooth decay (caries). Caries can progress very quickly in young patients and this approach can help to protect the most vulnerable regions of the tooth, causing up to a 60% reduction in occlusal caries (on the biting surface of the back teeth). This treatment often begins as early as age 6 years old. The process is very simple and takes only a few minutes per tooth. For this reason it can be an excellent non-invasive introduction to dental treatment for young patients. Whilst sealants significantly reduce the chances of tooth decay (caries), they are only one part of a child’s preventive care. Twice daily brushing, diet management, fluoride application (where necessary) and regular dental attendance all help to keep you child’s teeth healthy and pain-free. If you play a sport that involves physical contact where there may be a risk to the head and neck region then there is a risk to the teeth. These include football, hurling, hockey, camogie, boxing, to name but a few, and in all cases it would be appropriate to wear dental protection via a Mouthguard (Gum-shield). Since 2013 the GAA made it mandatory that all players from minor grade up to senior levels have to wear an appropriate gum shield . Ireland has one of the EU’s highest levels of sports related dental injury with 1/3 of all adult injuries being sport -related. Secondly, Boil and Bite Protectors. These are made from a thermoplastic material which softens when heat is applied. They can thus be moulded into shape using your teeth, lips and tongue to attempt a tighter fit against the teeth. This variety costs a little more, attempts to resolve the limited contact that the Stock protectors make against the teeth; but ultimately still fails to achieve enough tooth contact to allow force distribution in case of a trauma. They are the most popular used to date.